Yes they do, and the cycle continues. Recently-ish, I decided that I didn’t like the general lack of design continuity for various ships of mine within their given faction, so I’ve been reworking them. This includes the playerships I put out a ways back for my AE - New Ships mod. With the exception of the 531-CW (which was beyond salvaging), I tried to stay true to each ship’s original design but with a distinct style between them all that shows them to be related. Here are my before-and-after renders. I love the new ships! I look forward to playing with them. Also, props to Wolfy for volunteering to re-render the AE Dragonfly on his computer for me. All 2,880 frames of it. Since it was going to take about eleven days on my hardware. animated ships, animated ships ! Heh, TSB has actually had some animated ships for a long time..... just i havent ported over the ones from TSB Mk2 to TSB Mk3 yet. Currently only used as part of the Succession, but soon to be available as a standalone mod. Not sure if it is useful, but recently George released the Armor-HUD texture used in vanilla (in the resources list on the right side of the article). What do you intent to use the bottom left ones for? Last edited by pixelfck on Fri Feb 06, 2015 2:55 pm, edited 1 time in total. A strange phenomena that was discovered during testing for the succession. 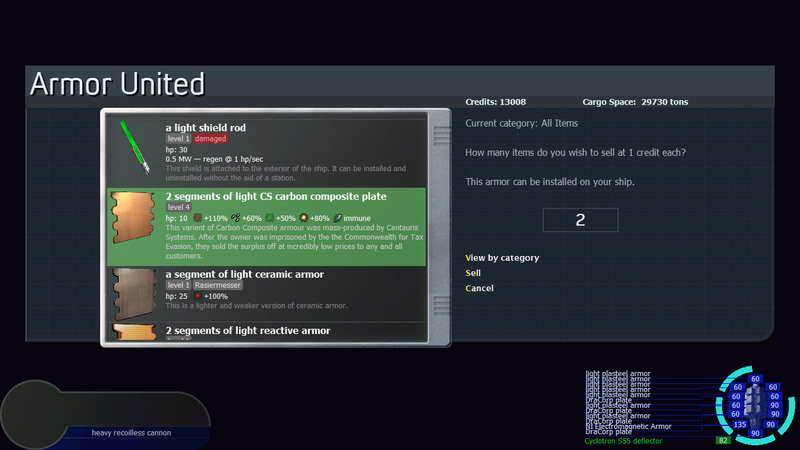 The icons in the lower-left were for armor integrity display. Also while modding: "Ooh, pretty! Scanners indicate large, interplanetary EMP flower of death." Moments later: "Ahh! Help, I can't see!" Anybody think I might have overdone the plasmaSpikes? I can't wait to order myself a Dell UltraSharp U2515H to View things in WQHD. Transcendence looks pretty silly in 4K. Ridiculous viewing angles and all.